PT Honda Trading Indonesia - Honda Trading was established in March 1972 as a pioneering venture imbued with Honda’s venturesome spirit. 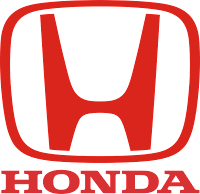 Since that time, we have gone on to tackle various new areas of business and have grown to become an integral part of the Honda Group, capable of responding quickly and precisely to Honda’s needs by utilizing the group’s global information and communications resources. In honor of our 30th anniversary in 2002, we rededicated ourselves to our founding principles. We remain determined to be a trading company that Honda and our customers can count on, finding innovative and effective solutions to global logistical challenges, and providing reliable counsel, inspiration and support to the Honda Group. Willing to work under pressure and high volume, with pleasant characters. Prefer educational background from : Economy, Business International, Technical (Industry, Electro, Machine, Chemical), Transportation Management. Computer Skill (Excel, Words, Outlook is a must), if can be more add with Power Point. Prefer : Understand Export-Import, work experience at Japanese company. English (Verbal/Written) is a must. If you feel that you are the person we're looking for, send your application online, please refer official source from jobstreet on following link below.